The Malvern Fire Company is pleased to place our newest piece of firefighting apparatus in service. 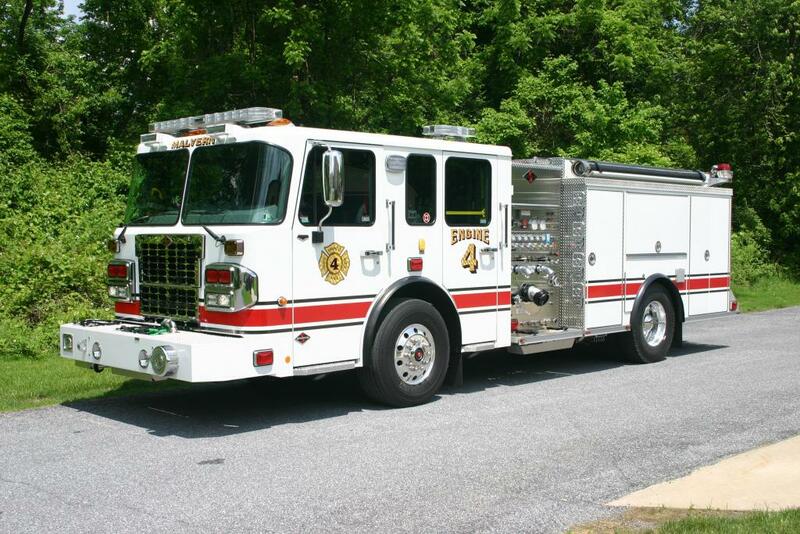 The Fire Company strives to keep a modern fleet of apparatus that addresses community needs, fire company staffing and training capabilities. Our new engine will carry a complement of rescue tools in addition to the firefighting equipment commonly found on fire engines. Engine 4 is a 2018 Spartan Metro Star Engine with a 1500 GPM pump, 750 gallons of water and seating for 6 firefighters. The Company dedicated this Engine in honor of Paul Wilkins, Past Chief.